Every once in a while, Kev and I will get a wild hair and run off to some little place we hope will be big on inspiration. It usually starts with a cabin fever-ish sorta feeling, and quickly leads to a slew of Google searches for “cottages for rent in Alabama, Georgia, Florida or Tennessee”. Sometime last year, one of our late night Google “search-o-ramas” introduced us to a beach town called Tybee Island, located just off the coast of Georgia, near Savannah. We visited for the first time this past March, and it had us at hello. Bikes are the preferred method of transportation, and flip flops come in a close second. Quirky, fishermans cottages dot each & every street and giant, old trees stand dripping with curly clumps of Spanish moss. In the morning, you can witness the Sun rise up over the ocean on one side of the island- and at night, you can watch it slide down behind the low country marsh on the other. It’s a real “go with the (ebb and) flow” kinda place. 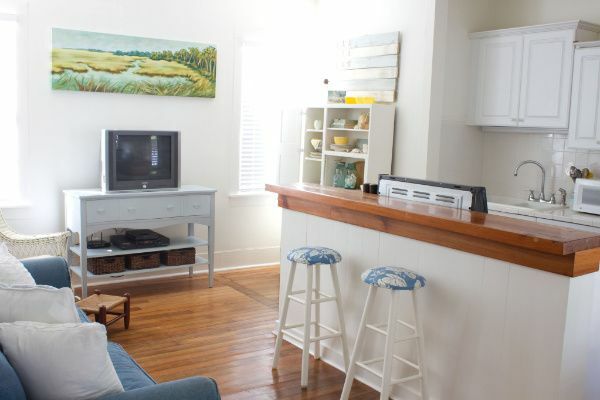 One of cottages that really makes us feel inspired/welcome/happy/relaxed on Tybee is it’s enchanted, old Mess Hall. We had the pleasure of re-decorating it with it’s new owner (Pam) recently, and what a thrill it was to be able to hang out there every day, for a week and a half! Three of Pam’s four sisters came down and visited with us one day while we were there. As you can see, they’re a gorgeous bunch, but the way they interacted with each other was absolutely magnificent! They held each others hands, and kissed each others faces. 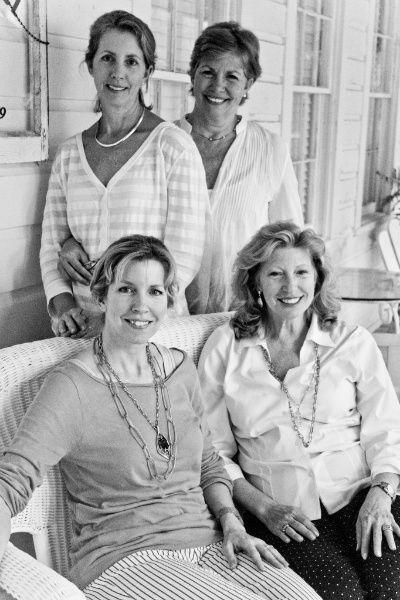 They spoke with graceful, Southern accents and all seemed so patient and kind. At one point, Pam lovingly referred to one of her younger sisters as “Baby” and I got the goosebumps! I felt like I had been transported straight into a scene from a movie like Steel Tomatoes…I mean, Fried Green Magnolias….oh- you know what I mean! I’m sure Pam and her family will share many wonderful vacations/holidays together at the Mess Hall, and we look forward to making a trip back there to soak up some of it’s wonderful energy every now and then too. It’s a magical place, and it was an honor to walk and work within its 80-something year old walls! Thanks for inviting us to Guest your Nest, Pam! And if you’re searching for food & fun on Tybee- here’s a list of some of our favs! AJ’s Dockside Restaurant, 1315 Chatham Avenue, â˜Ž (912) 786-9533. 11AM – 10PM. Great neighborhood setting on the back river. Serves seafood outside on a dock which is the setting for some spectacular sunsets. The Crab Shack, 40 Estill Hammock Road, â˜Ž 866-789-2722. Laid back seafood restaurant with extravagant decorations and a super-fun nighttime atmosphere. Be sure to buy some gator food to feed the live alligators! Sundae Cafe, 304 1st Street (at the corner of Hwy 80 & Jones Avenue), â˜Ž 912-786-7694. Fine dining featuring both traditional southern dishes and seafood. They seafood lasagna is to die for! Fannies on the Beach, 1613 Strand Ave, â˜Ž (912) 786-6109. Large restaurant with full bar overlooking the beach; has an open-air dining area on the second floor (only open during peak season). Ask to sit in the boat if you have young kids who want to steer a ship while enjoying a meal. For a super laid back meal (paper plates and all! ), check out Stingrays on Butler. Kev and I spent many a night sitting on their outdoor patio, listening to live music under the stars. 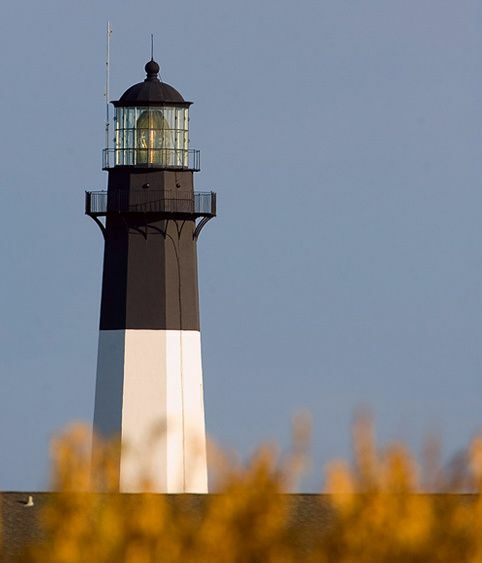 Tybee Island Light Station, â˜Ž (912) 786-5801. 9AM – 5:30PM, Closed Tuesdays. Georgia’s oldest and tallest lighthouse, includes a complex of historic support buildings and 187 steps to the top! $7 Adults, $5 Children and Seniors. Tybee Island Marine Science Center, 1510 Strand Avenue (Directly in front of the Tybee pier and pavilion), â˜Ž (912) 786-5917. 10AM – 5PM. Part science center and part aquarium, featuring touch tanks and many kid friendly exhibits. $4 Adults, $3 Children. Tybee Island Museum at Fort Screven’s Battery Garland (directly across from the Tybee Island Light Station). Located inside a coastal defense fort first used during the Spanish American War, this museum outlines the the history of Tybee Island as an integral part of America’s coastal defense system. Don’t miss the WWII submarine periscope located just inside the entrance. 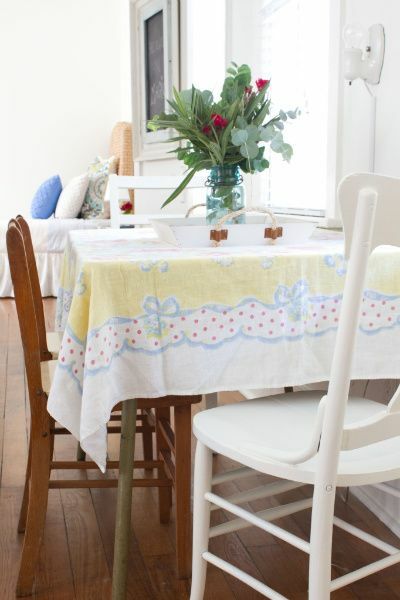 A “Before and After” look at all the decoratin’ we did with Pam at the Mess Hall! 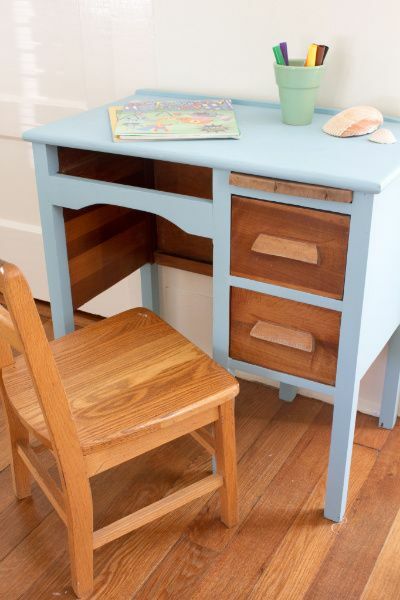 Oh my…lovely….I can see myself using some of these ideas…the colors are perfect. Howdy Layla! Well, you guys did it again, but unlike Brittanie Spears, your again didn’t have an oops in it! 🙂 I LOVE the feel of the place…not just any one thing, but the whole feel of it. I imagine the sisters were simply thrilled at everything you guys did for them. Looking at this post makes me want to go stick my toes in the sand somewhere! (and go decorate something too) Love everything! Have a GREAT week, and I’m so glad Max is ok! Love me some Britney!! LOL! And thanks for asking about my Maximus…he’s doing a lot better. Whew! Beautiful job once again. Reminds me of Nantucket. 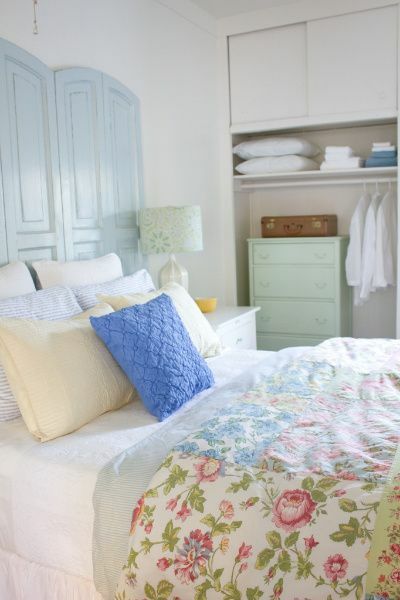 Would love for you to go there and redo a room in one of my favorite B&B’s. But that would probably require you to get on a plane, Layla. You could drive, though. I LOVE Tybee! It’s one of my favorite places to be, such a quaint and quiet beach town! Love what you did with the mess hall! Everything looks fantastic! My nest would jump for joy if you were ever my guest. they like something I have done. white/blue fasination. yea and thank you. love your new blog format & all the fun and joy that comes with it. 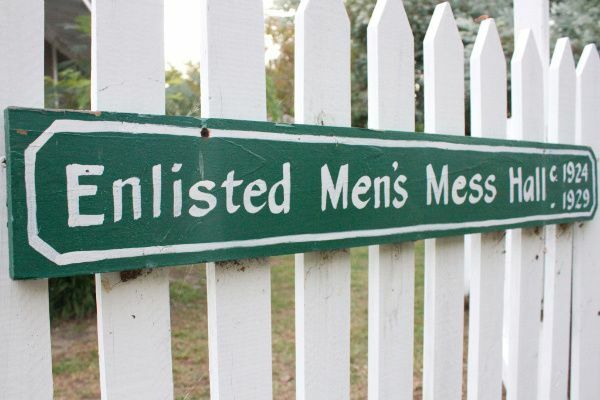 Have a restful weekend after the beautiful job you did at the Mess Hall. geri. Wow! That is so inspiring. You guys really rocked the house, so to speak! Love it so much, I had to come back for another look! … Yup, still fabulous! The place looks great and so much more cohesive than before! Great job! I’m with you on the flying. I’m in my mid twenties and recently had to fly by myself for the first time and was a total baby about it! Oh my goodness Larissa! I would have bawled like a baby if I had to fly by myself! Layla and Kevin, you guys did an awesome job again. The mess hall looks amazing!!! I love both of the headboards that you used. 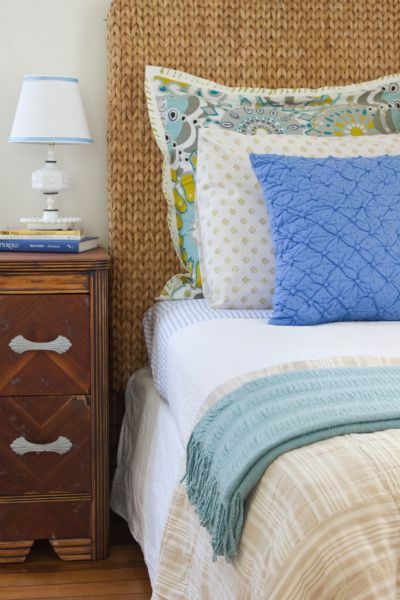 I need a new headboard for my guest room and these gave me some good ideas. The old suitcases by the bed make the most adorable nightstand. 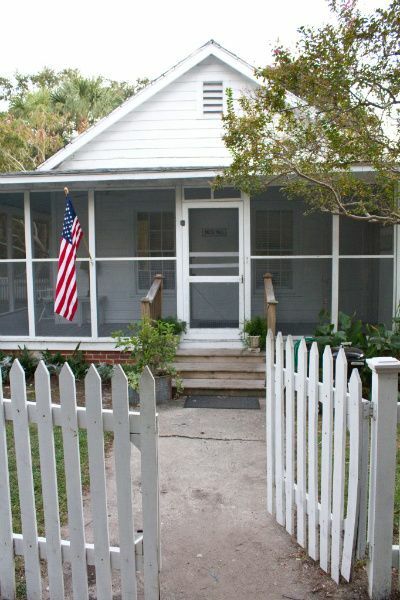 I have never been to Tybee, but would love to go down and stay in one of the cute cottages. I just got back from the beach in NC this past weekend. I had a fun time with my own sister and girl cousins. Love me some “girl time”. Enjoyed the video. Love & blessings from NC! Layla & Kevin, You two are the cream of the crop !!!! Hats off to you both. Ya did it again. The color flow is perfect, you guys have created a BEaUtiful place for people to enjoy. Thanks a bunch. and I always wonder.. where do people that live in such nice houses put all their paper stuff?? bills/notes/kids schoolwork… the day to day junk. Haven’t been here in a while. LOVE what you guys have done with the blog. The mess hall looks fabulous, but I wouldn’t expect anything less from you guys. Fantastic job! Y’all sure are spending a lot of time in Savannah these days. Can I expect y’all to move on over to my old stompin grounds and setting up TheLetteredBeachCottage? 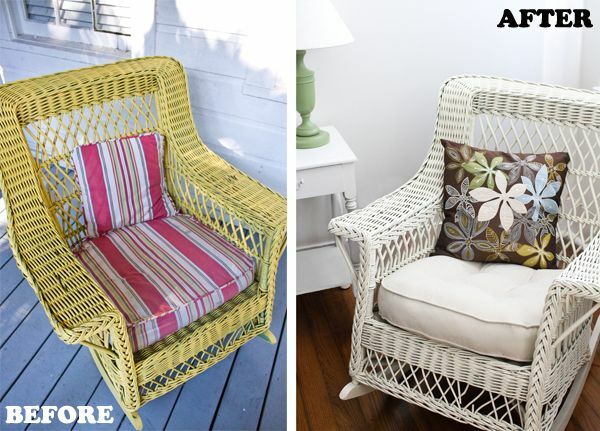 Looking forward to seeing your next redo! Hey Y’all! 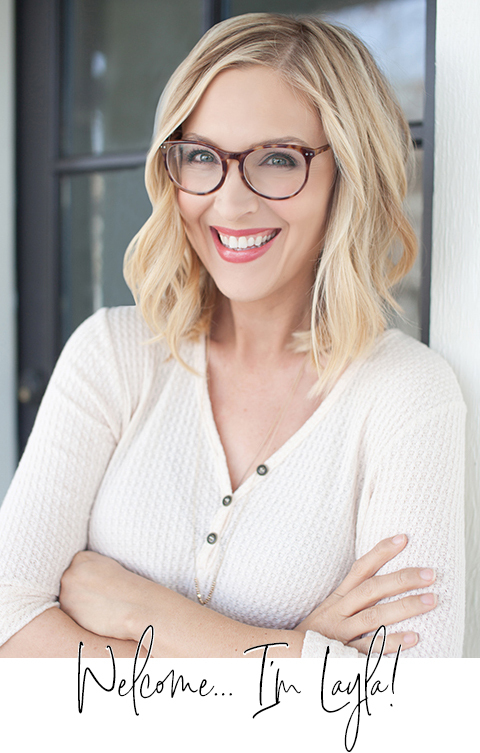 I absolutely adore your entire website and you give such a great perspective on decorating and keeping things fabulously beautiful and homey! =) OH and you are the reason my fiancee’ and I are going to Tybee Island for our honeymoon next month! We are SOOOOOOO excited!!!!!! I LOVE LOVE LOVE Tybee Island. My family lives nearby – just south of Savannah. We’ve had weddings, reunions, and artist’s retreats there. 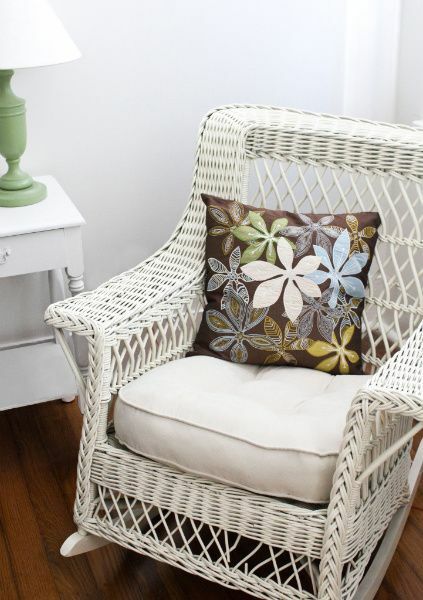 Your style DEFINITELY fits in, your pictures feel just like lots of the cottages on the island. Also, next time you’re there, try the Sugar Shack for an icecream cone, and try to find all of the painted turtles on the island! Also, just to mention, have you met/heard of/worked with Jane Coslick? She’s done most of the cottages my family visits. Love her style, and yours too! Yes! LOVE me some Janie Lane! (That’s what I call her) 🙂 We’re dear friends, and I miss her so much! She may come to Alabama to go junkin with me- just gotta talk her into making the 7 hour drive! I was wondering where you got the pillow shams or the fabric would work great on my bed. Thanks! WOW – TYBEE TIME! I just happened to come across your blog 2 days ago and I LOVE it! Tybee is where my hubby and I married – Great place, blog! Great job on the place! Absolutely love the old luggage used as a nightstand.